Lois Dean, a volunteer with Bolton, has uncovered a fascinating aspect of life on the home front. As will be seen in some of the other posts in this blog, headmasters played an important role in keeping in touch with their former pupils fighting at the Front. The days, weeks and months of war are recorded in a variety of ways through the pages of Bolton’s schools logbooks. Some head teachers make much of the teaching of patriotic songs, flags pinned to maps of Europe, fundraising and collection of ‘treats’ for servicemen and PoWs, the creation of a school ‘Roll of Honour’ and visits or letters from former scholars and members of staff now with the ‘Colours’. One headmaster, however, barely wrote a single entry that did not relate in some way to the war. 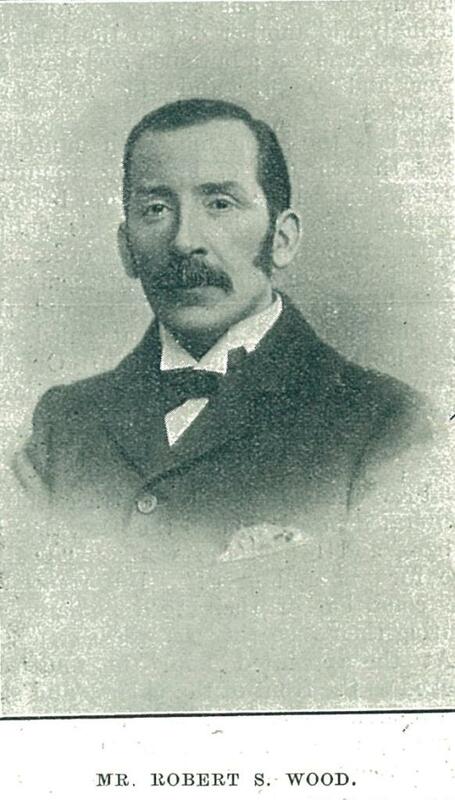 Robert Simeon Wood was already well known in Bolton education circles and beyond, when he took over the headship of Folds Road Mixed School in 1904. He had gained his teaching certificate in 1874 and had been headmaster of two Bolton schools, All Saints and St Luke’s. In addition he had written and edited a number of books and articles on the subject of teaching children a love of literature and poetry. His book ‘Analytical Examples or First Exercises in English Composition’ is still available. By the outbreak of war, Mr Wood was nearing the end of his teaching career, but his enthusiasm remained undimmed. In November 1914, he records how “special maps have been mounted in the hall and marked with flags showing the centres of conflict and of interest from week to week”. In the same month he carefully lists the entire contents of a parcel of clothing and cigarettes collected by staff and pupils to be sent to the Red Cross Fund for wounded soldiers and sailors and later entries record the stitching of sandbags by pupils. Throughout the war, the logbook is peppered with the names of former pupils and staff serving king and country, recording their letters, visits, promotions, bravery awards, hospitalization and in some inevitable instances, death. Sadly, Mr Wood’s fascinating record of a wartime school was not to last until the end of the war. In June 1918, he was told by the Education Department that he must retire. Folds Road Mixed School itself closed in 1920.